Three hour private henna classes are available for a fee of $500. Additional students can be added for $100 per student and is limited to 10 people. If this is not in your budget, we offer two henna classes a year in our Orlando office and studio. These are not private but offer the very best value and are limited to 12 people per class. Details are here. Our comprehensive classes are structured professionally-taught classes taught at our Orlando studio by Jody Rogers. They are not informal classes taught by a hobbyist or someone without teaching experience. Jody has been teaching henna since 2005. The goal of our private henna classes is to pack in as much information as possible and create a strong foundation for henna growth, along with support material for home use. We have three different Foundation classes to choose from; Henna 101, The Business of Henna, and Henna Skills Improvement. Additional one hour Labs can be added onto any Foundation class. This class is for the beginning or intermediate henna artist. If you are not mixing your own henna, THIS is the class to take. This class lays the foundation for clean henna lines and design. This class is for the henna artist that already has a henna business or wants to create a henna business. You should already know the basics of henna and be mixing your own henna paste to take this class. Basics are not covered in this class but are necessary for a successful henna business. If you need the basics AND want to learn about the business of henna, you should book the 101 class and add a business lab to it. The Business of Henna class is tailored specifically to your needs. Below are some sample topics, but each class is adjusted specifically to you. 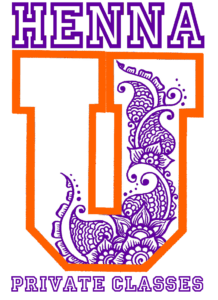 This class is for the henna artist that already has plenty of henna experience but is looking to improve specific skills and/or get deeper experience and information on specific subjects. Essentially any of our henna labs can be expanded to be this three hour intensive. Depending on the subjects you want, these classes tend to have mostly hands-on drills and exercises. A take-home eBook with exercises and drills is included to allow continued practice at home. The Henna Skills Improvement class is tailored specifically to your needs. Below are some sample topics, but each class is adjusted to you. Additional one hour labs can be added to any Foundation Henna Class for $100. These classes are only available along with a Foundation class and cannot be purchased alone. Henna Labs are single topic based intensives on a variety of subjects. Subjects include design based labs and business based labs. You can see a list of our Henna Lab topics here. With at least 3 weeks notice, we can custom create a lab for you. Private henna classes are available for a fee of $500. Additional students can be added for $100 per student and is limited to 10 people. Additional one hour labs can be added for $100. Additional people can be added for $50 per person. Labs cannot be purchased without a Foundation class. To schedule a day and time for a private class email or call. Have some sample dates and times that you prefer and we will try to mesh our schedule with yours. Once a date has been agreed upon, payment is taken over the phone or through an online invoice. Payment is due immediately to save the date and begin prep work for the class. – Complete payment must be made at time of booking. – Classes must be scheduled and paid at least 2 weeks before class date to allow for prep. – Due to the massive amounts of preparation and work that go into a creating a private class, there are no refunds for cancellations. Rescheduling may be available for another day within a 30 day window. Rescheduling for dates further out will require an additional $100 prep fee. I offer these classes outside of our Orlando studio. 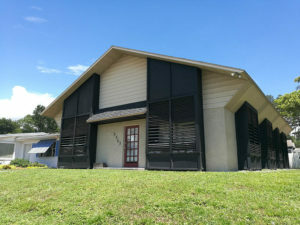 If you are in the Orlando area, I strongly suggest you take the classes at our location. An additional fee of $190 applies to classes scheduled outside of our studio. For areas outside of Central Florida (including out-of-state locations), travel expenses are added. Anything longer than a 3 hour drive requires overnight accommodations in addition to travel fees. Anything requiring a flight may require 2 nights of accommodations, depending on flight schedules. Are your needs different? Have other ideas for getting me to your location? A trade option? Part of a larger event? A larger class with more students? I can work with that! Email me with your needs and your proposal. Let’s work together!